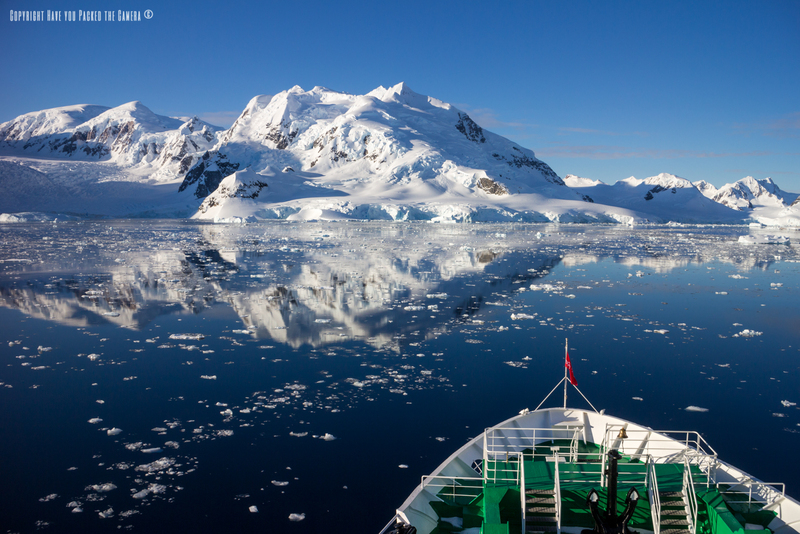 On the 6th day of my Antarctic Expedition with G Adventures we anchored late at night at a place called Paradise Harbor. 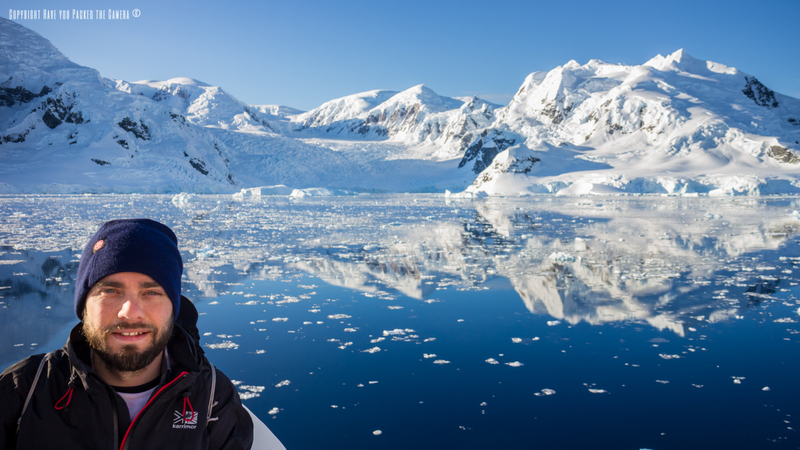 Now, Danco Island was such an amazing place for wildlife and witnessing Gentoo Penguins in their natural habitat; Paradise Harbor was as different again and it was without a doubt the most stunning scenery I have ever seen. 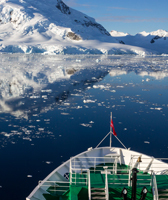 This is the kind of scenery I dreamed about seeing in Antarctica; it was picture perfect and so tranquil, there was no wildlife at all, just still blue waters speckled with icebergs, all surrounded by beautiful snow capped mountains. 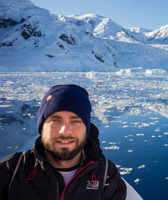 Although we did not get to travel through the Lemaire channel which is supposedly the most captivating landscape in Antarctica, I was stunned by the beauty of Paradise Harbor and felt I did not miss out. 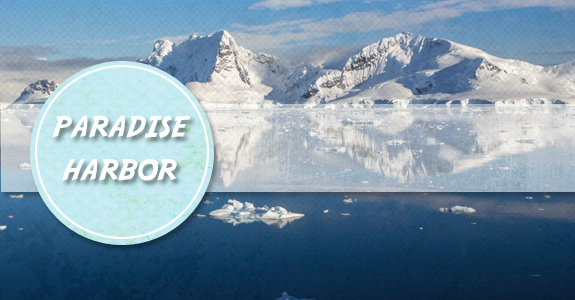 Paradise Harbor is a wide embayment situated behind Lemaire and Bryde Islands on the Antarctic Peninsula on the west coast of Graham Land. The name was first used by whalers in the 1920's and I can only assume that it was named so because of the beautiful scenery that surrounds anchoring ships in the bay. 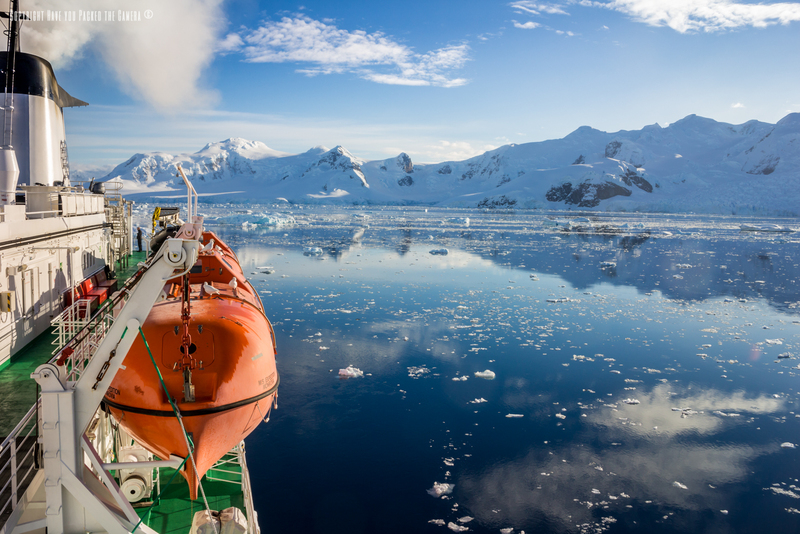 Nearby points of interest are Neko harbor, the Lemaire Channel, Danco Island and Anvers Island – We visited all of these except the Lemaire. 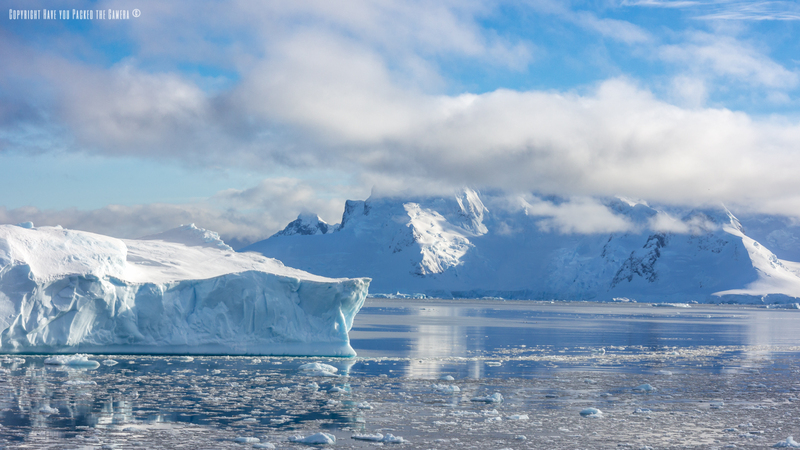 The embayment itself is surrounded by mountains that at the time were covered in snow and ice, and the waters were full of Icebergs and fragments of sea ice. The night before Paradise Harbor was a fun night; we had been in the bar, having a few drinks, enjoying the music, playing darts and generally having a good laugh. The mood was good throughout the ship and we were all excited for what lay ahead. A couple of our group agreed to get up early that morning so we could see the sunrise, therefore at 6am I dragged myself out of bed, got my warm gear on and headed out onto the top decks. Unfortunately the sun was already up – Not sure why we said 6am as there were multiple notice boards on the ship stating the time of sunrise which was around 3-4am in the morning! However all thoughts of seeing a beautiful sunrise were pushed from my mind as soon as my eyes adjusted to the daylight and I saw the landscape unfold before me. Paradise Harbor is the type of place that poems and songs are written about, it really is that beautiful and inspiring. 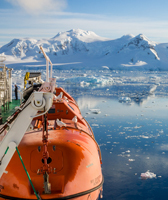 Our boat, the MS Expedition was surrounded by vivid blue waters; the colour was fantastic and so bright. The water was scattered with icebergs and sea ice coloured in various hues, from frosty white to bright turquoise; this created a beautiful pattern across the water and some dazzling reflections from the sun. 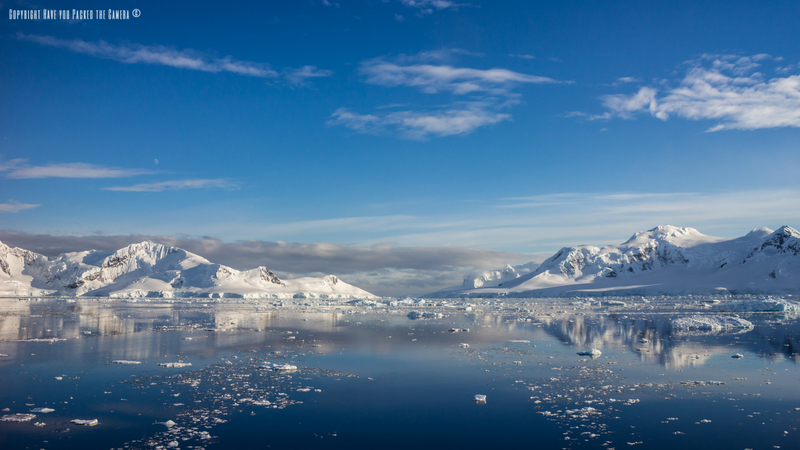 I could not believe how still and clear the water appeared – There was not a single ripple and the whole surface looked like a sheet of glass, it was quite mesmerizing and not like anything I had ever seen before – It was such a great experience being out in the fresh Antarctic air to marvel at the scene around me. Surrounding the picture perfect waters were a string of mountains; Immense snow and ice covered mountains that stretched to the sky. I saw plenty of mountains like this during my time in Antarctica but never as clear or with such a beautiful reflection. The morning sun lit them up perfectly and at times these domineering shapes were a strain to look at due to the sheer brightness of the reflected sun. As I took in the scenery around me I wondered if anyone had ever, or would ever set foot on any of those mountains, and how much of Antarctica was still untouched completely by man - It was quite a moving thought, to think that I was lucky enough to travel where only a small percentage of the worlds population will ever go. 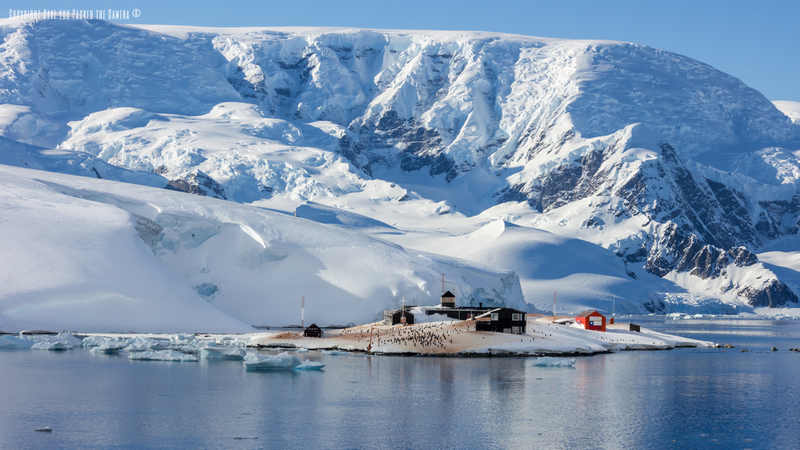 On our way out of Paradise Harbor we passed the inactive Chilean González Videla Antarctic Base - The surrounding mountains created a gorgeous backdrop for this quaint place. 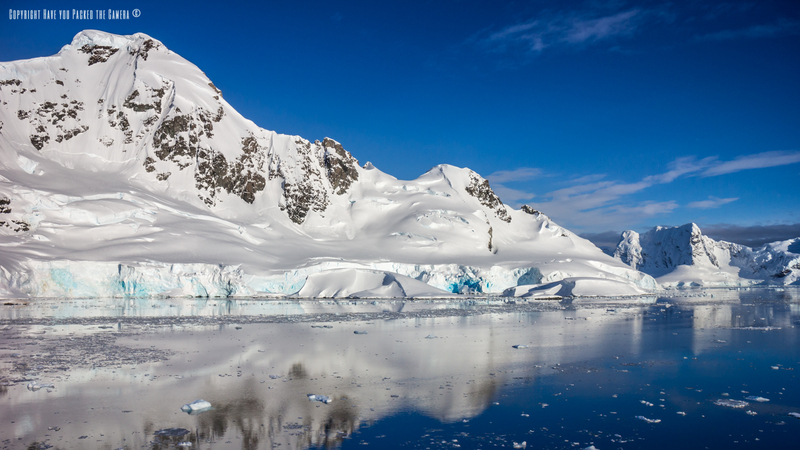 The buildings were a reminder of human presence in Antarctica, but the Gentoo Penguins that had made the base their home, was a further reminder that nature will always prevail.